At first blush, a Tangent Rugged industrial computer looks strikingly like a massive CPU with no fan. The familiar heat dispersing fins and it’s diminutive size are quite deceiving in this way, but it truly is a fully featured industrial computer. 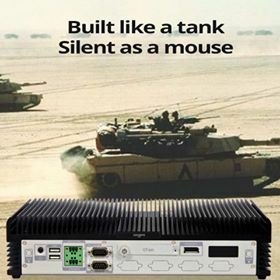 Many of the PCs in the Rugged line, like the Rugged Tank, are fanless industrial computers that utilize passive cooling technology instead of a fan blowing on hot internal components. Passive cooling happens by way of heat dissipation as air flows over the unique and expertly designed heat sink that transfers warmth away from the internal computer components. This method is excellent for eliminating noise and internal dust build-up, as well as vastly reducing energy consumption. Another factor in noise reduction on these mini industrial computers is the option (and recommendation) for solid state hard drives as opposed to standard hard disc drives with a spinning disc. No fans and no moving disc parts equates to a much greater reliability, durability and service uptime. The lack of moving parts in the Rugged industrial computer also allows it to operate in extreme and fluctuating temperatures with ease. It works equally well in a refrigerated food processing plant or in a desert off-road rally race. That’s no joke either, the Rugged Tank industrial computer has been tested and rated to withstand consistent shock and vibration. It’s ideal for in-vehicle applications such as construction or farming vehicles, news vans, or industrial forklifts. Being a fanless mini industrial computer doesn’t nearly suggest that it’s a slouch in terms of performance. Depending on one’s requirements, it can be customized to be a daily workhorse or a high powered workstation. Processors offered range from an Intel Celeron Dual-Core to an Intel i7 Quad-Core, and memory is offered at up to 16GB. It is equipped standard with either Windows 7 or Windows 10, and has TPM 1.2 and RAID support. 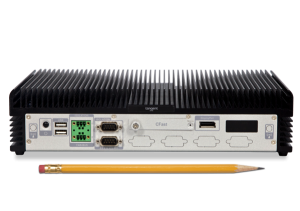 The petite industrial PC has an abundance of available I/O ports including three video outputs, six COM, six USB inputs, 2 LAN, WLAN, audio, and several others. As the name suggests, this little industrial computer is truly a formidable tank. Tangent’s Rugged mini PCs are powerful and effective in environments experiencing extreme temperature or constant shock and vibration, or spaces that require extreme cleanliness. 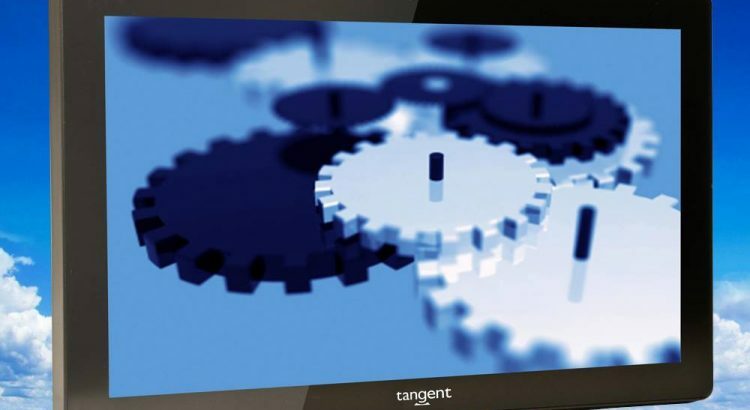 From the precise and sterile to the dirty and industrial, Tangent has a computer solution to rise to the occasion. The American public is no stranger to fast food safety scares and widespread food poisoning events amongst even the most popular restaurants that boast freshness and quality. Chipotle quickly comes to mind as a repeat offender. The most recent infraction was in August of 2018 when 220 verified reports involving 405 people who were rendered ill from eating at an Ohio Chipotle were submitted to the crowd-sourcing site iwaspoisoned.com. The critical violation was found to be inadequate maintenance of temperature control to prevent the growth of pathogens, mold and harmful bacteria. Proper washing of vegetables and leafy greens was another key factor as they can be a carrier for awful strains of bacteria like E.coli. Cleanliness of workstations and any food surface a worker touches also contributes greatly to a safe environment. 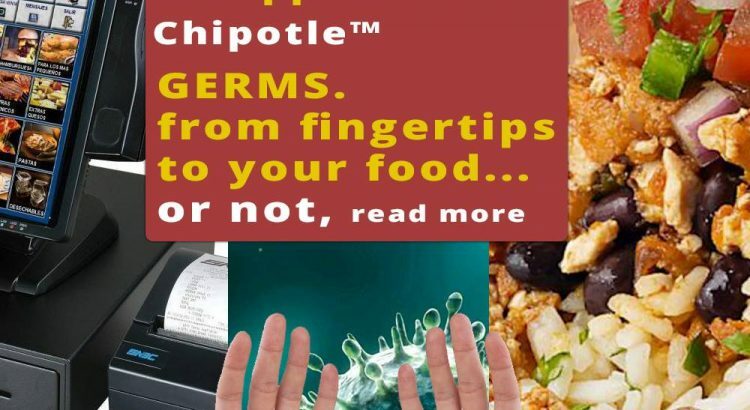 I happen to be a fan of Chipotle’s food, but on a few occasions have wondered how safe it was for their staff to handle food and then work the register as well. Computer equipment can be a hotbed of bacteria, especially when handled by several people in a warm environment. 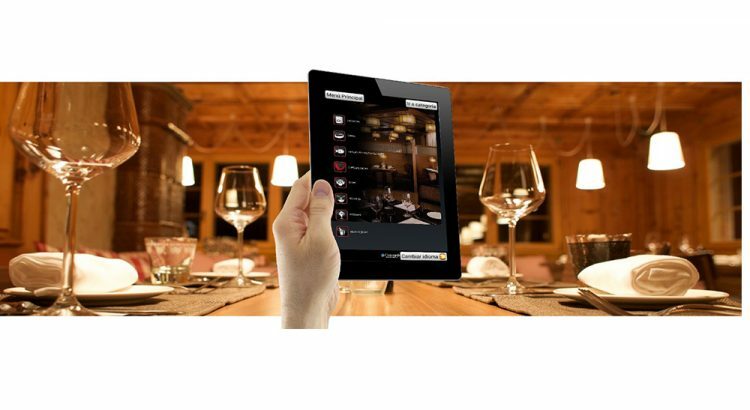 How safe are the POS (point of sale) tablets in a fast food restaurant? What other steps can be taken to prevent the spread of contaminants and pathogens? The Tangent P10 industrial POS tablet was designed for the rigors of intensive use and cleaning. The front panel is rated at an IP54 level of protection, meaning that it can withstand low pressure water jets and spray without any damage to the POS tablet. Restaurant staff can wipe down the POS tablet with disinfectant wipes throughout the work day, and then spray it down during cleanup time for a more thorough sanitation. The P10 10” inch POS tablet itself is equipped with a smart card reading slot, a barcode scanner, a five megapixel camera, and triple-track MSR. The accompanying docking station features a wide array of I/O ports in a compact space to attach peripherals like a cash drawer, second monitor, or USB devices. For an even higher level of pathogen protection, Tangent also offers medical grade tablets that can easily be used for POS purposes. The enclosure of the Medix T13 13” tablet is factory treated with an antimicrobial coating that prevents the spread of contamination and infection. Bacteria, mold, and microbial growth is stunted by the antimicrobial additives. The enclosure is also rated at an IP54, allowing it to be sprayed and wiped clean. Like the P10, the T13 medical (POS) tablet has a full-slot smart card reader and barcode reader, but this one also has an optional RFID reader. The T13 has an available desktop charging cradle for added I/O ports. For convenient mobile use, this medical grade tablet can be equipped with a hand strap and integrated stand. There is a lot of responsibility that goes into offering customers a safe dining experience, and part of that is ensuring that restaurant equipment is clean and sanitary, including computer devices. Tangent’s line of industrial and medical grade tablets offer elevated levels of safety for a multitude of uses including POS (point of sale) transactions.